Electric Vehicles are an amazing way to travel and A.D.I. Electrical Services are experts at installing your EVSE (Electrical Vehicle Charging Equipment). We have installed hundreds of EV charging stations for many electrical vehicles including Tesla, whose dealers approve and recommend our work time after time. A.D.I. will set up your EV home charger, take care of all the electrics, codes and safety concerns so you get moving in your beautiful vehicle! We service all electric vehicle chargers including the BMW i3, BMW i8, Cadillac ELR, Chevrolet Spark EV, Chevrolet Bolt EV, Fiat 500E, Ford Focus Electric, Honda Clarity, Hundai Tucson Fuel Cell, Kia Soul EV, Mercedez-Benz B-class Electric Drive, Mitsubishi i-MiEV, Nissan Leaf, Smart Fortwo Electric Drive, Tesla Model 3, Toyota Mirai, Tesla Model S, Tesla Model X and Volkswagen e-Gold. We are here to get your home charging station up and running with minimum cost and maximum safety. How long will it take to install my EVSE? We usually install an EV Charger in one day. Occasionally it can take longer if your electrical circuits require extra power or specially-requested modifications, but we will give you a clear quote when we visit your home for your Free Consultation. Call us now to book your free quotation! 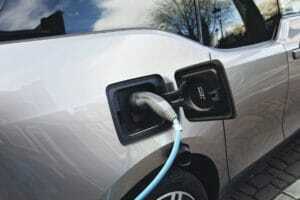 There are ways to charge your Electric Vehicle so you have full power and save money in the process. Overnight charging is one of the easiest methods to charge your car at off-peak hours when electricity is cheaper. This reduces your electric bills and gets you on the road: A.D.I. Electrical Services can also look at your electric meter and advise you on the best way to save money as you charge your electric car. Where should I install my EV Charger? We recommend installing a charging outlet near where you park the car. Mobile cables are usually 15-25 feet long, so you will usually have options. We can help advise the easiest and most efficient place to put your EV charger. We also coordinate meeting city codes and getting your permits. Our expertise is one of the reasons that Tesla continue to recommend us, and we bring this knowledge & professionalism to all electric vehicle chargers. We believe you should have a hassle-free no-obligation opportunity to meet your electricians. Our work has received over 4000 happy customer reviews on the independent Angie’s List website and we will be happy to put you in touch with other satisfied customers who also choose A.D.I. Electrical Services to install their EV Charger. Call us today to book your free consultation or email us with any questions. Can my home electrics handle the load? Most likely, but not in all cases. We will find out when we visit to prepare your free quotation. Whether you are choosing a generic EV charger, a NEMA 14-50 outlet, a Tesla Wall Connector or another brand, they will all add a significant load to your home’s electric system. It is essential to make sure you will have the sufficient power and that you receive a code-compliant installation. Please get in touch if you have any questions. We will talk you through all of the options and fully test your electrical system when we visit for your free consultation. Which EV chargers do you install? All of them! We have installed many hundreds of EV chargers, working with all brands. Some customer favorites include: Aerovironment EV Charger, Bosch Power Max, ClipperCreek HCS-40, GE WattStation, JuiceBox Pro 40, Leviton Evr-Green 320, NEMA 14-50 outlet, Schneider Electric EVlink 30 Amp Electric Vehicle Charging Station, Siemens 30-Amp Bottom Fed VersiCharge Electric Vehicle Charger &amp; the Tesla Wall Connector. We install using copper wire which gives you the highest quality, best charge and safest setup. Chargers are generally 20, 30 or 40 amp. If you require different amperage charging solutions or modifications to your power supply, we will be able to tell you everything you need when you get your quote. Permits & Inspections Your local building department will want to conduct an inspection and issue you a permit. This is standard practice for code compliant electrical installations, for the safety of you and your neighbors. Home owner insurance policies generally ask for permits if you modify your electrical panel. These are all standard procedures and A.D.I. Electrical Services will take care of it for you, leaving you to enjoy your car. Do I get a tax credit for installing a home EV Charger? Yes. At the moment. The current tax credit is $1000 for individuals or 30% (or up to $30,000) for a business. The law may change at the end of December 2016 but for now you can find out more at the Alternative Fuels Data Center. The world of Electric Vehicles is continually innovating. We plan to update this page as new information becomes available and new options reach the market. Our knowledgeable expert electricians stay up-to- date on the latest options so we can provide you with the best possible experience! Call A.D.I. Electrical Services today and let us keep make your EV nice & Easy!